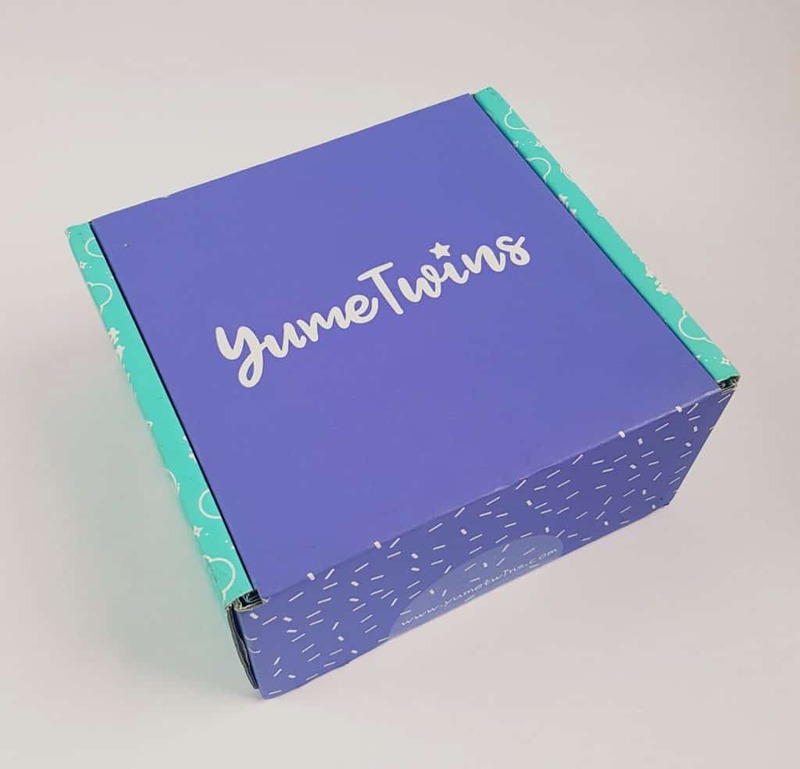 YumeTwins has just been rebranded, so there have been a couple of changes. 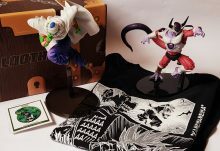 The prices are slightly higher than before, but now there are more items in each box (before there were five), and the brands are all premium. They have one-, three-, six-, and 12-month subscriptions costing $35.00, $33.50, $32.00, and $31.50 per month respectively.At current exchange rates this is £25.75 £24.65, £23.54, and £23.17. Shipping is free. Here is their new-style box! The box now contains a flyer rather than the menu booklet. On the other side is a password for the online magazine and full contents list, plus information about their referral scheme and social media. Generally there are several different variants for each item, so the ones in this box won’t be exactly the same as others. However I’ll give you an idea of the variations as well. Such a cute bunny! 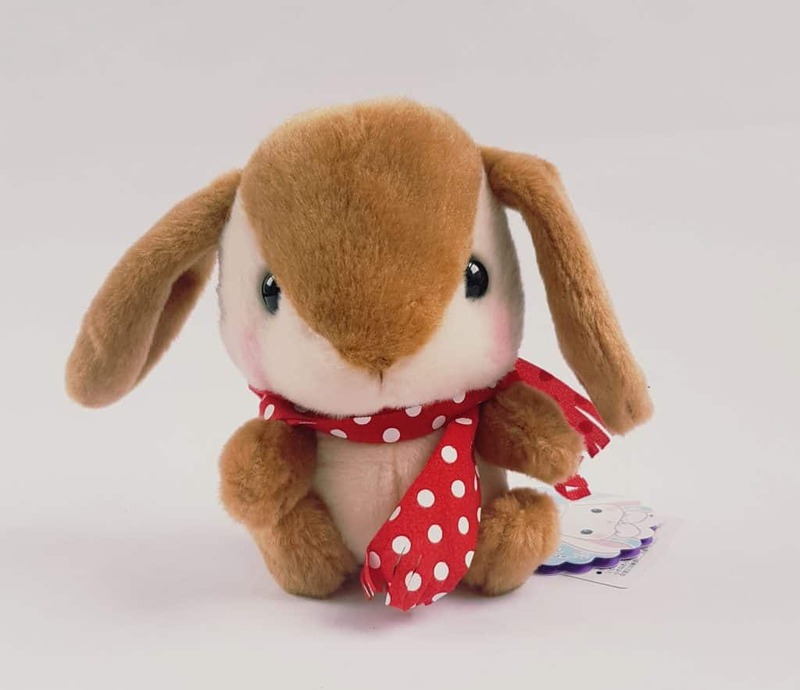 This is a AMUSE “Poteusa Loppy” Rabbit Plushie, and is lovely and huggable. There are loads of different Loppy rabbits, 48 in total, so you could get any variation! I do like this one with the cool little spotted scarf. This guy is a squishie, a bit like one of those squeezy stress ball things. 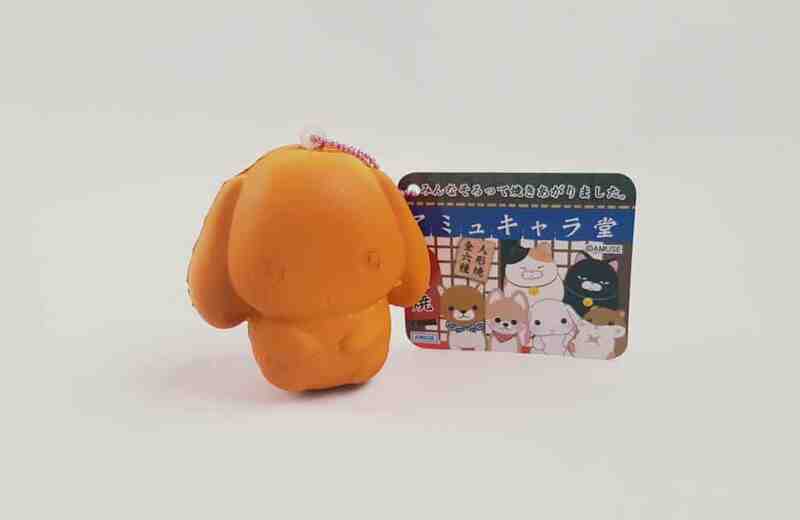 These AMUSE Character Bakery Squishies are Amuse characters imagined as baked goods! A little strange but very cute. This is one of a possible six, and is a bunny, quite possibly a Loppy. 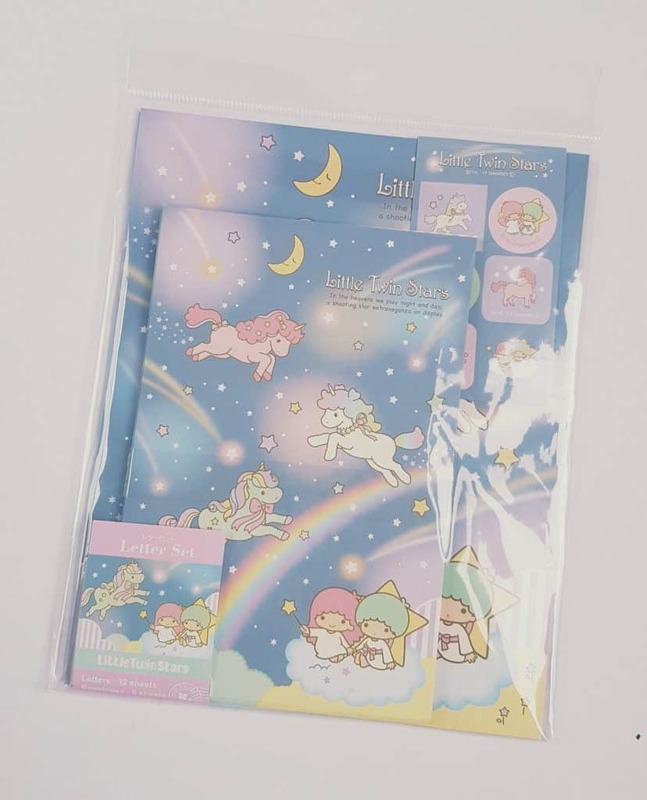 This Sanrio Little Twin Stars Letter Set is splendidly low-tech. 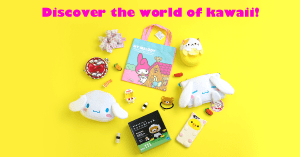 With the ease of email, letters are seldom written, so it’s lovely to have a bit of kawaii inspiration to put pen to paper! The set includes 12 pages, six envelopes, and a sticker sheet. It’s Pikachu! 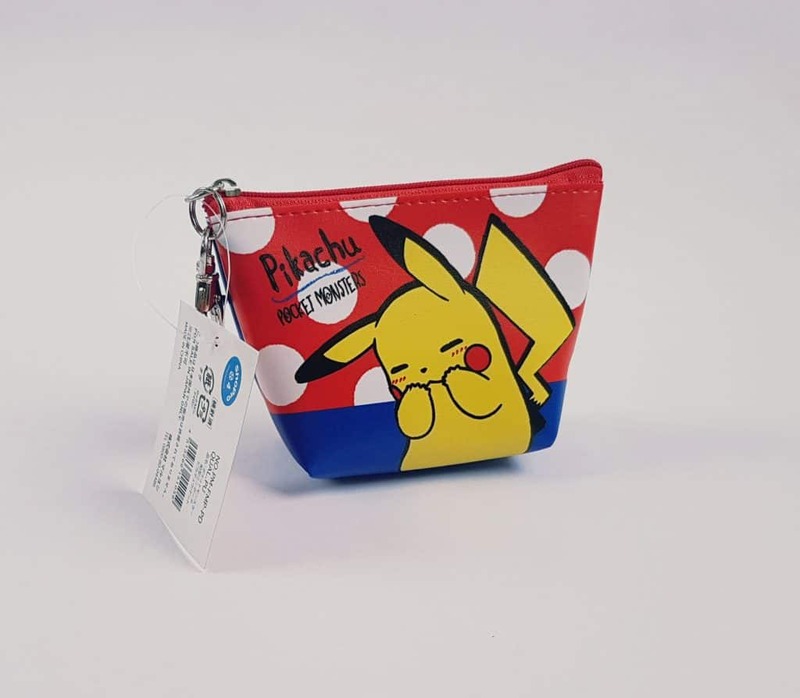 This Pokémon Mini-Pouch is one of eight possible designs, all featuring a Pokémon character and includes a handy clip for attaching it to your bag. I love the bright colours of this little purse! 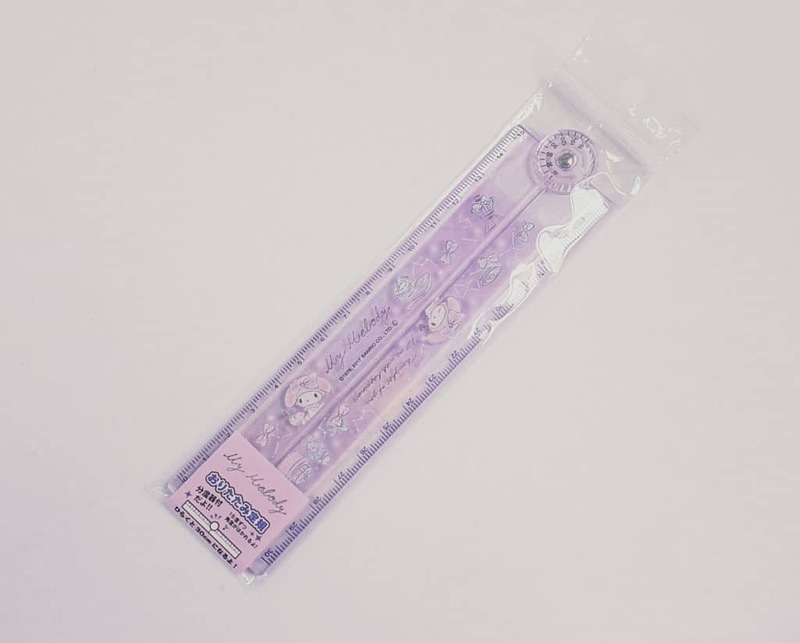 Another practical item here, a Sanrio Ruler. This one has My Melody on it, though there is also a Hello Kitty design. It’s cute and compact for your pencil case, but opens out to double length. I love this! 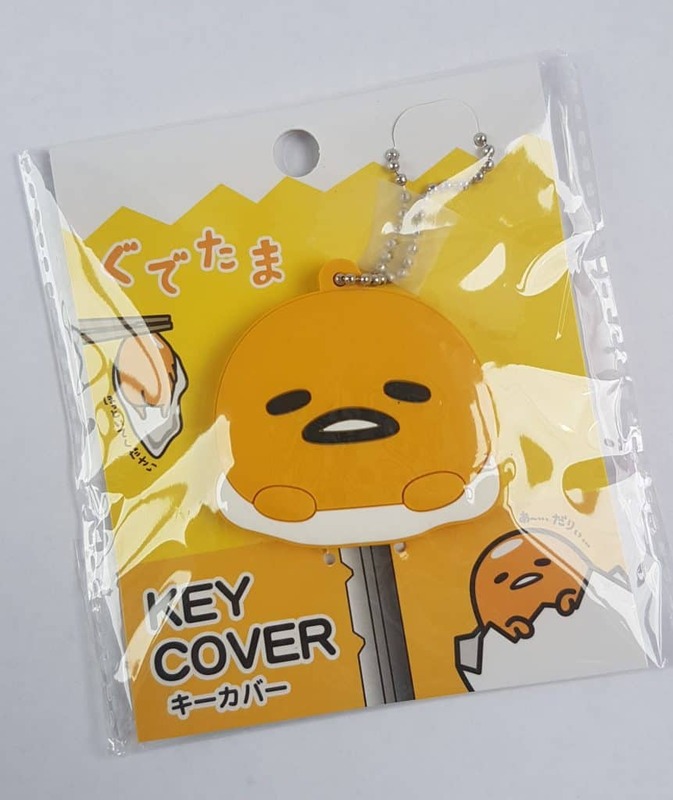 This is a Sanrio Key Cover (Gudetama), and is one of several variables of either various Sario characters or Doraemon. 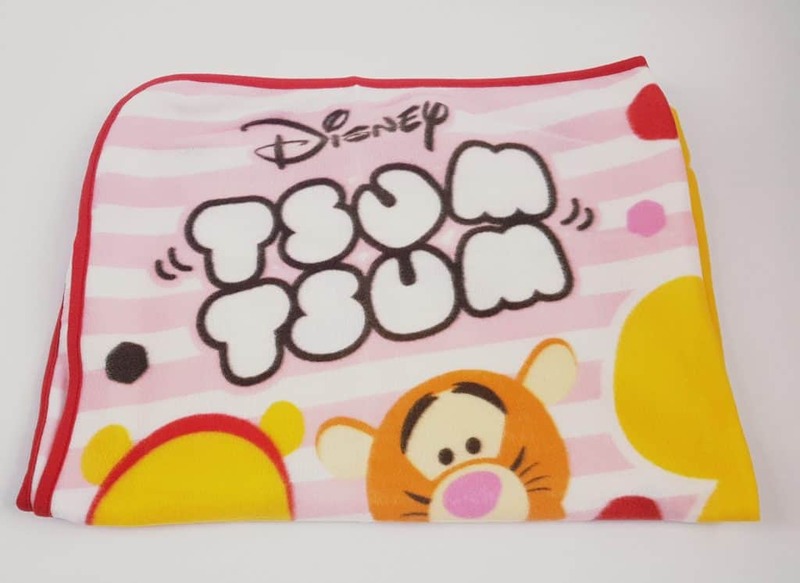 This is the biggest (and heavily trailed on social media) item, a Disney Tsum Tsum Fleece Lap Blanket. There were three possible options: Mickey, Donald, or this one, Winnie the Pooh. It’s a lap blanket, so not huge, but it’s fleecy, warm, and cozy, and just right for putting over your legs if you get a bit chilly on the sofa. It’s also a nice portable size, so might be handy in the car. Once again, a cracking box from the new-style YumeTwins! 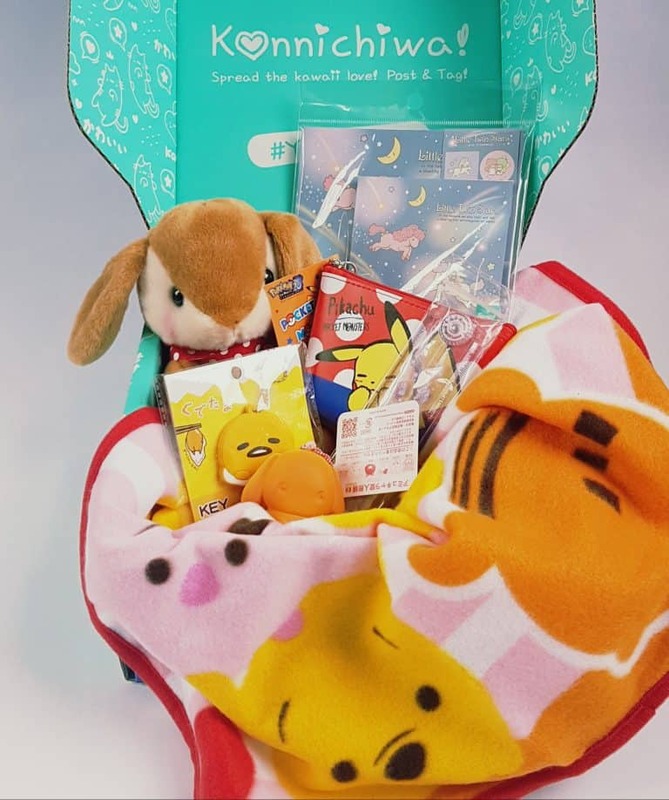 My favourite item is the Gudetama key cover, because I love Gudetama! The letter set is really cool, and a great way to inspire more letter-writing! The ruler is also cute yet practical, which is fantastic as I love things I can actually use. Who doesn’t love plushies? The bunny is utterly adorable, and the baked bunny squishie, while slightly odd, is very satisfying to squeeze. Thee little pouch/purse is incredibly useful. I love the bright colours, and I always find I need a little purse for something or other, so this is a very handy addition to my collection. 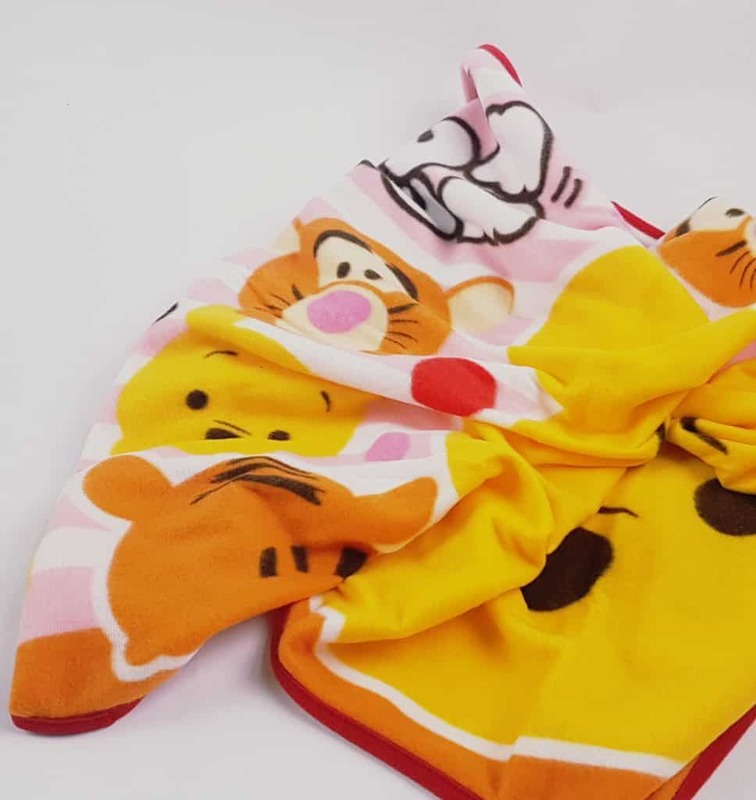 As for the blanket, I love the softness of it, and I think it’s actually a very convenient size. My only reservation is that I sort of wish I had got one of the other versions, because I don’t really like the Disney version of Winnie the Pooh. But realistically, it doesn’t matter much, because an extra blanket around the house is always welcome! I do miss the menu booklet, even though they now publish everything on the website. 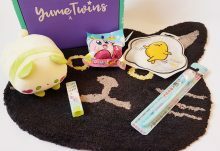 But the money saved that way, plus the slight hike in prices, mean that YumeTwins has really raised the bar with the quality of their. 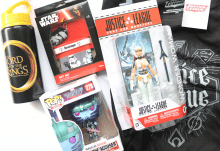 Value-wise, their items always come from Japan, so while it is sometimes possible to source them in the UK or Europe it can be tricky. I found the Loppy plushie for £12, and a different character letter set for £4.99, but I couldn’t find the rest of these items anywhere. It’s very likely they’re only available in Japan, and I have no doubt that the overall value is excellent. 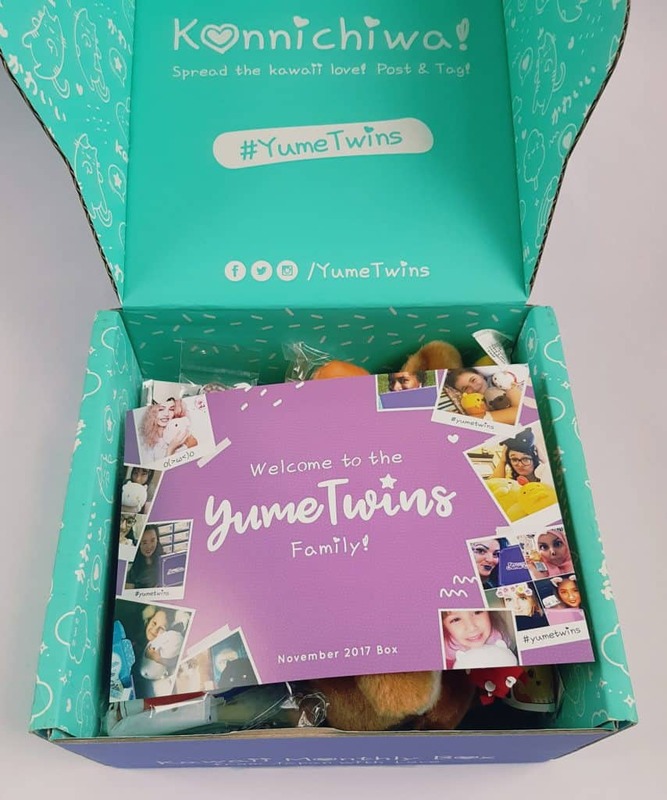 YumeTwins is doing a fantastic job with their new branding and upgrade. 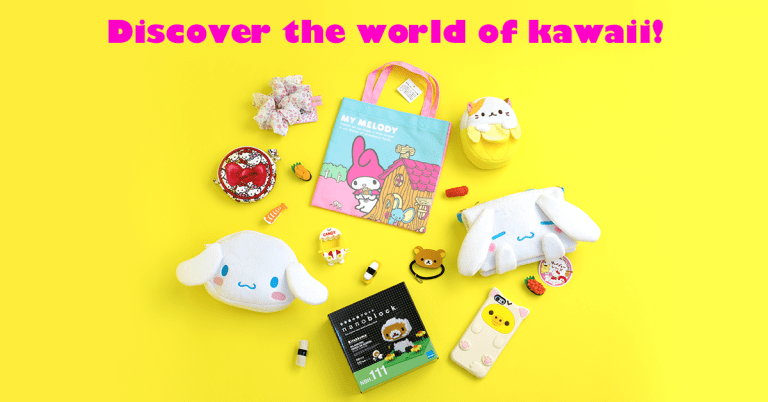 I love all the practical items, and everything is completely kawaii with a whole lot of useful!